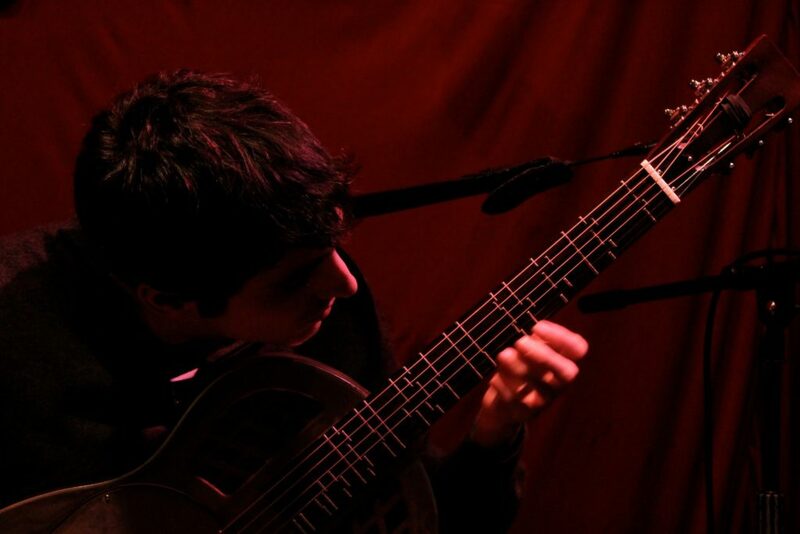 Giacomo Fiore performs new pieces for the Lou Harrison National Resonator just intonation guitar, in solo and ensemble music with Ensemble sic from UC Santa Cruz. The concert includes pieces for two just intonation guitars and oud, retuned Fender Rhodes and National Resonator, percussion, pipa, classical guitar, electronics, and combinations of all of the above. Originally created for Lou Harrison’s piece Scenes from Nek Chand, the Lou Harrison National Resonator guitar is a classic tri-cone resonator guitar refretted in a just intonation tuning. Musicologist and performer Giacomo Fiore has conducted extensive research on Lou Harrison and this composition, and commissioned a new instrument fretted to the same specifications as Lou Harrison’s original.